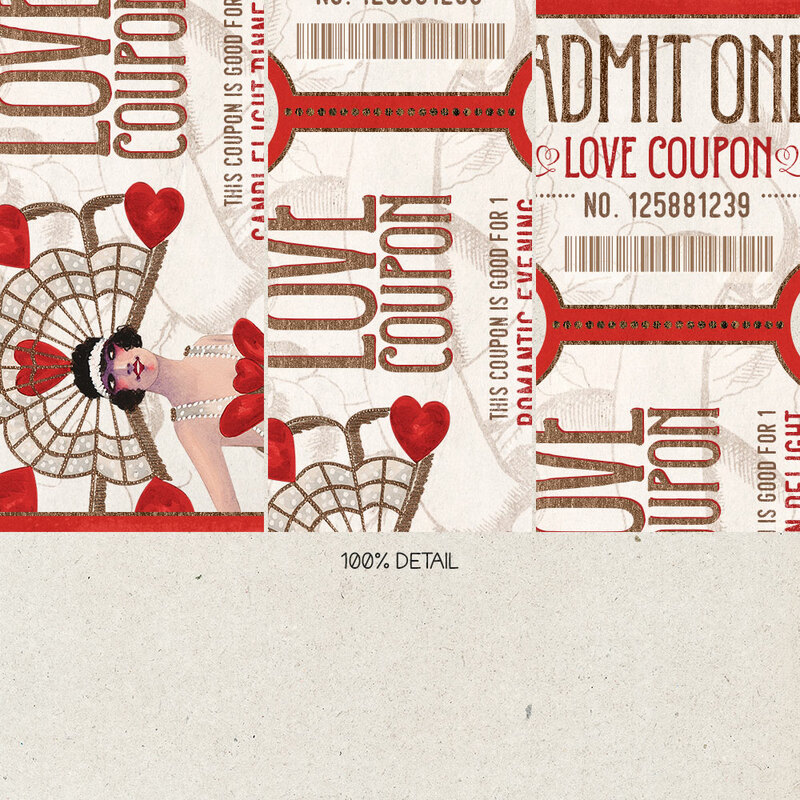 Surprise the one you love with these fun printable love coupons (and not just on Valentine's Day!). 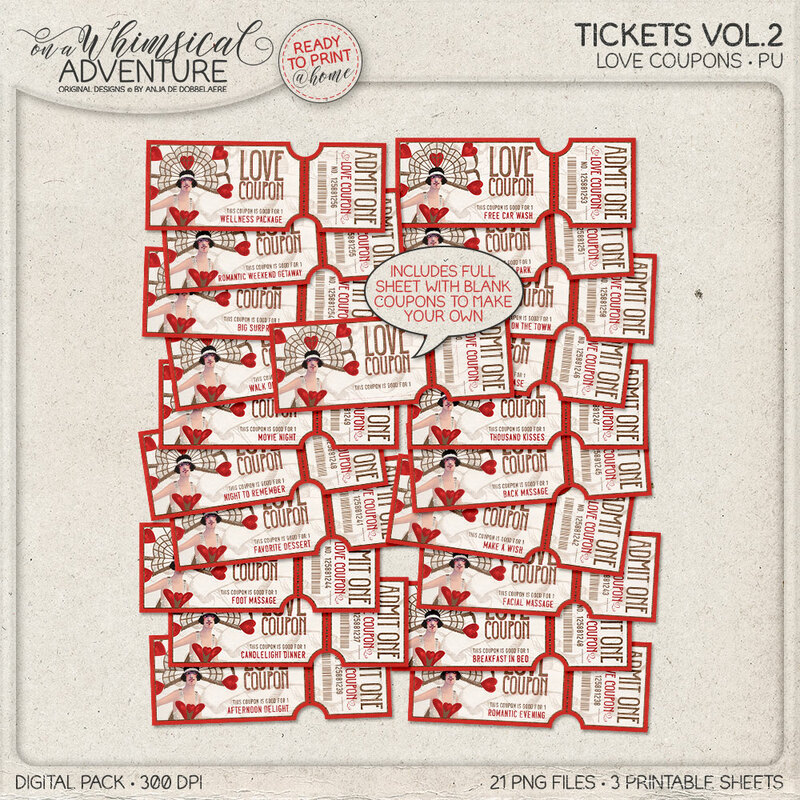 Make your own surprises (sheet with blank tickets provided), or use the premade coupons. Print as many as you like. What a beautiful gift these will make! Can you see the look on his or her face? 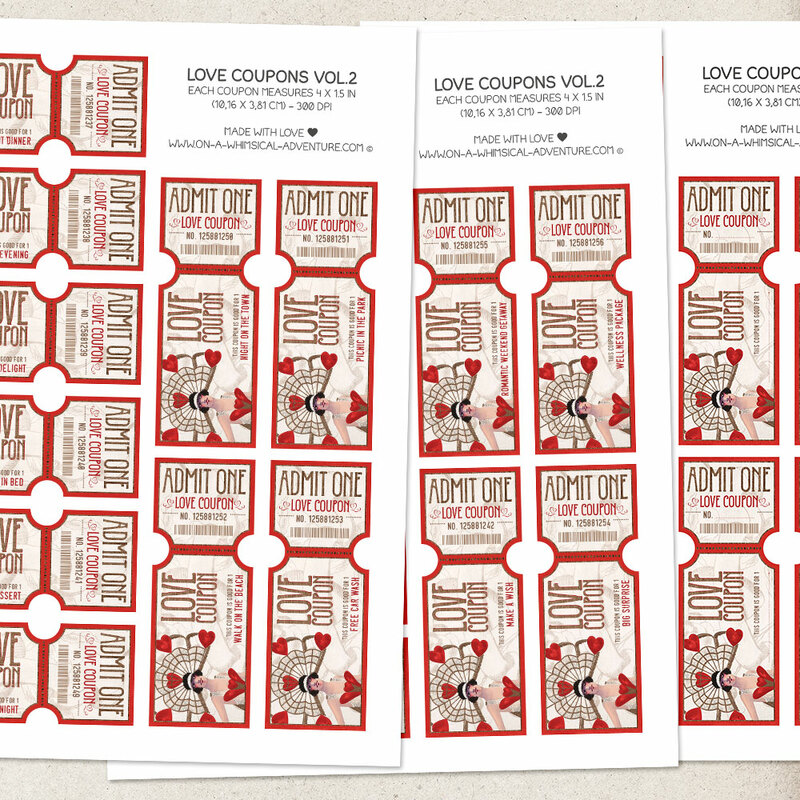 These love coupons can be used for any romantic occasion and some of the coupons are perfect as a gift to a dear friend, or as a gift to your children. 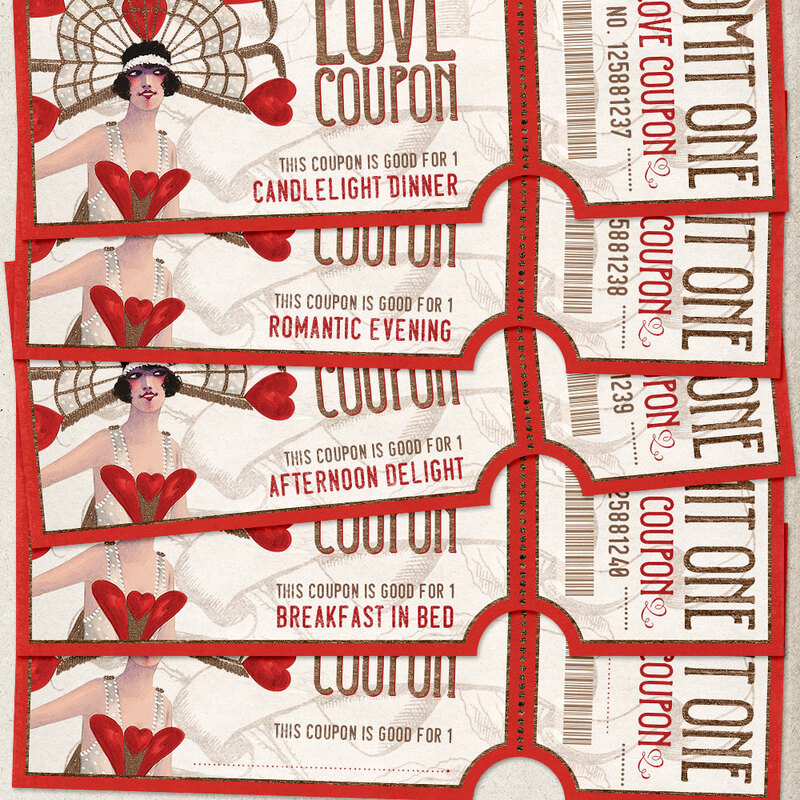 The following 'Good for' coupons are included: 1 candlelight dinner, 1 romantic evening, 1 afternoon delight, 1 breakfast in bed, 1 favorite dessert, 1 movie night, 1 night on the town, 1 picnic in the park, 1 walk on the beach, 1 free car wash, 1 thousand kisses, 1 night to remember, 1 facial massage, 1 foot massage, 1 back massage, 1 private striptease, 1 romantic weekend getaway, 1 wellness package, 1 make a wish, 1 big surprise. You will receive 21 PNG files - including 1 blank coupon - and 3 printable 8.5 x 11 in sheets in JPG and PDF. All files are 300 DPI.